Arafah: What a Great Day This is! Subhanallaah! 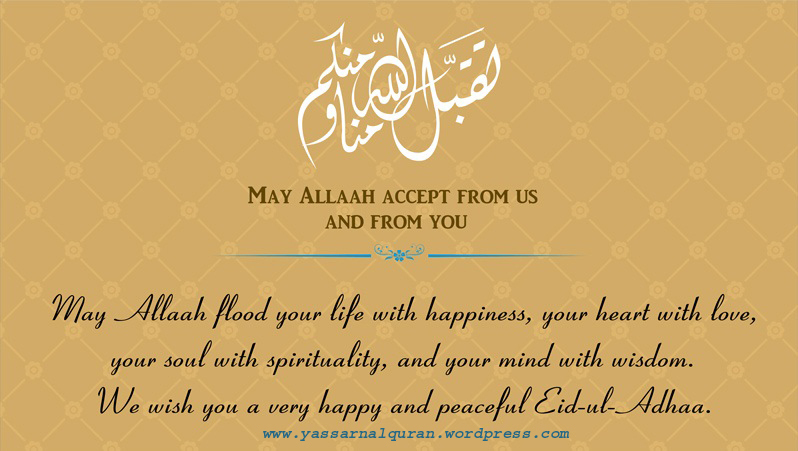 The first day of Eid al Adha falls on the 10th of Dhul Hijjah, which is called as Yaum-un-Nahr, the Day of Sacrifice. The sacrifice of an animal by Muslims around the world on the occasion of Eid al Adha has historical and spiritual relevance. It kindles in a Muslim, the spirit of sacrifice for the cause of Allah. Today it is an animal, tomorrow it could be one’s own life! Presenting some of the du’aas of Prophet Ibraheem mentioned in the Qur’an. Since Hajj/Eid al Adha is an occasion to recall the services of Prophet Ibraheem, this is extracted from here as a sort of reminder to one and all. What is the authentic du’aa to be made at the time of slaughtering and sacrificing the animal on Eid al Adhaa? And what are the conditions of udhiyah? I hope that we are taking care – or will take care, of these things to do on the Day of Arafah, Inshaa’Allah. Click here to read about the significance of the Day of Nahr and the Days of Tashreeq. We must try our best to say the Takbeer as many times as possible. Please note that this are re-posts. Jazakumullah Khayr. The Day of Nahr is the Day of Sacrifice which is the 10th day of Dhul-Hijjah. There are multiple virtues for this Day for it is the Day of the Major Hajj and the best day of the year.